Jeff Smith, at home recovering from a broken wrist and compression injuries, was saved by his 14-year old daughter, Haylee, and 15-year-old daughter, Hannah, and their amazing feat of strength. Jeff was pushing his tractor against a stump when his foot slipped off the clutch. The 1949 Ferguson tractor walked up the stump and flipped over backwards, crushing him beneath the steering wheel. “We heard him yelling. When we got there, his face was white, his eyes blood red, and he couldn’t breath.” said Haylee. “So we each grabbed an axle, counted to three, and lifted.” Jeff was able to get one precious breath of air. They lifted again. He was able to scoot over enough for his lungs to fill but his arm was still pinned. One of the girls went for help while one of the girls stayed with him, continuing to dig beneath him with her hands so he could continue to breath. 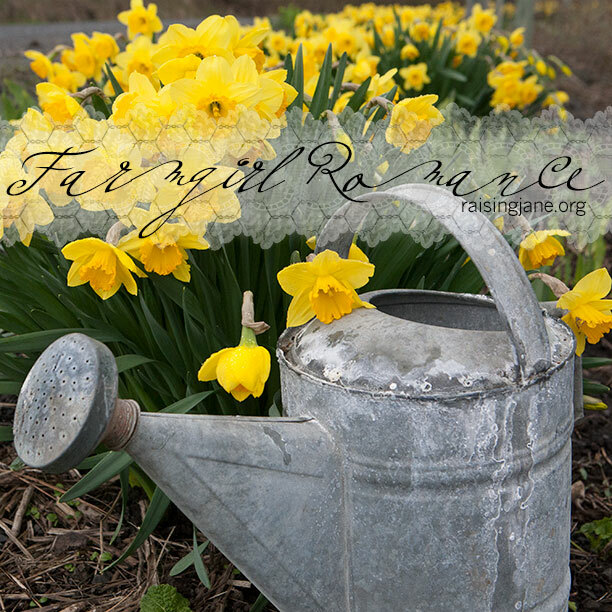 Go super-human-strength can-do will-do FARMGIRLS!!!!!!!! 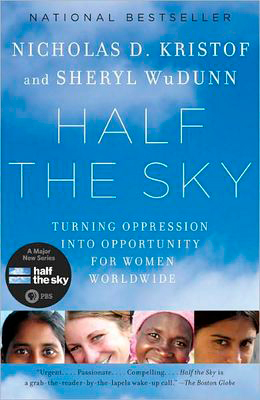 Half the Sky: Turning Oppression into Opportunity for Women Worldwide. If not, skedaddle on over to your favorite book shop and pick up a copy. From the seeds of the book sprouted a PBS television series, which branched into websites, blogs, art exhibitions, music, and a social media tour-de-force. Like I said, this thing is on a roll. The book and TV series attracted attention from those who already care about the challenges facing women around the globe, says the book’s co-author Nicholas Kristof. But the Facebook game is intended to reach those who don’t yet know the gravity of the problem. From Radhika’s perspective, you set off on a series of quests, facing issues and making choices that many women must deal with daily in terms of health care, education, meager income, gender bias, family matters, personal safety, and so on. The game begins in Radhika’s home country of India, and from there you travel to Kenya, Vietnam, Afghanistan, and the United States, eventually becoming a global leader and a role-model for women worldwide. “I hope that it will lead people to some degree to think about that perspective and the choices—often impossible choices—that women like [Radhika] face every day,” says Kristof. Along the way, you encounter opportunities to unlock real-life donations from sponsors that reflect the important issues portrayed in the game, and you can also choose to donate directly to the game’s nonprofit partners, including The Fistula Foundation, GEMS, Heifer International, ONE, Room to Read, The United Nations Foundation, and World Vision. an abandoned café or a dark corner of a fishing wharf. Mind you, it was only about 20°F in Gothenburg last week. 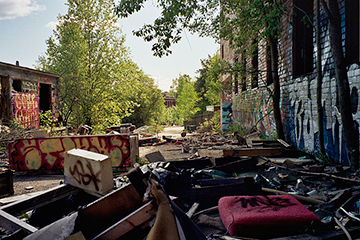 These accommodations are all about empathy, not luxury. 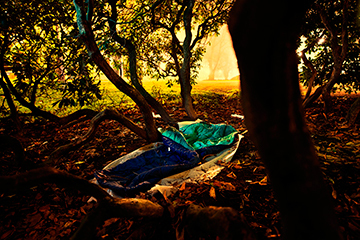 If the notion of packing your jammies for a night on a park bench makes you shudder, rest assured. Faktum Hotels are actually an elaborate work of fiction, but the idea is catchy, and the mission has a heart. Do you think this sort of scheme would fly here in the U.S.?